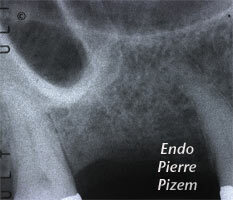 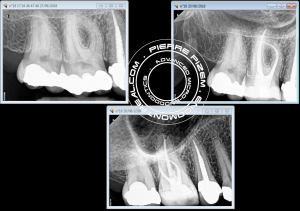 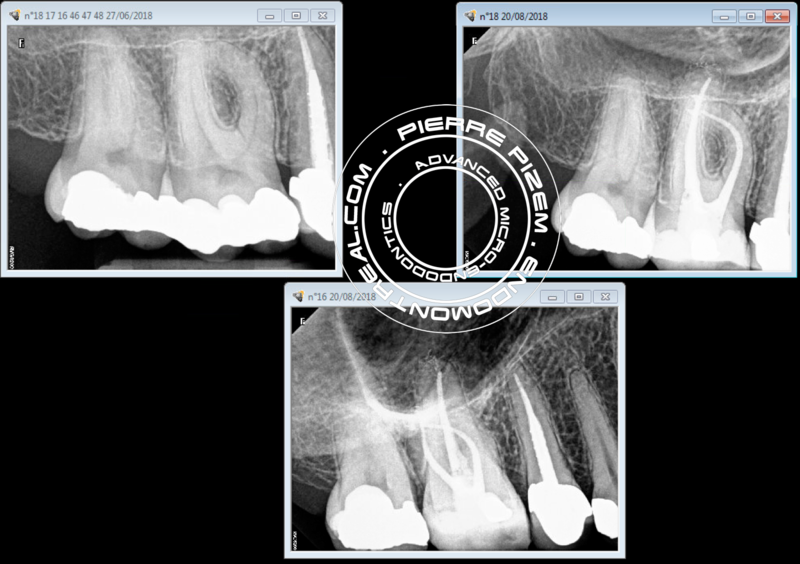 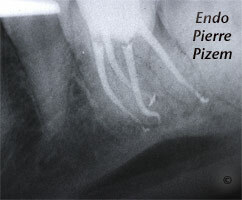 Irreversible pulpitis, deep carie, deciduous restoration. 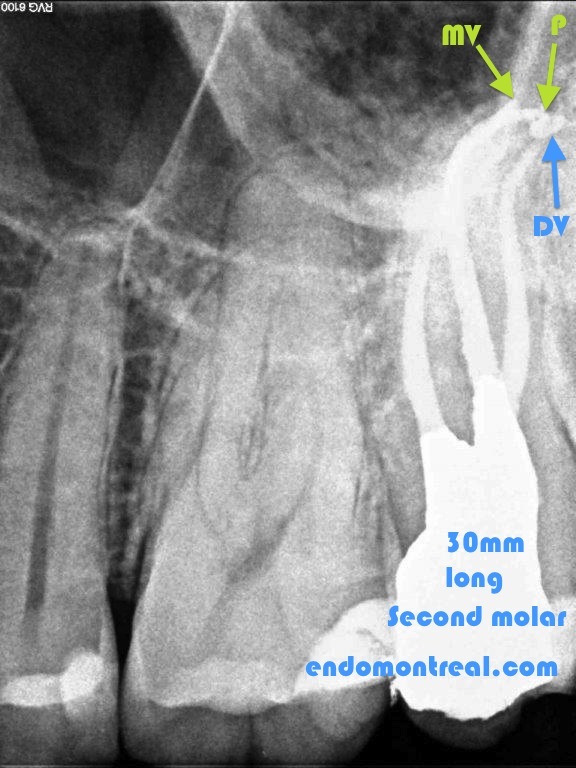 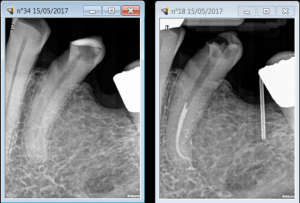 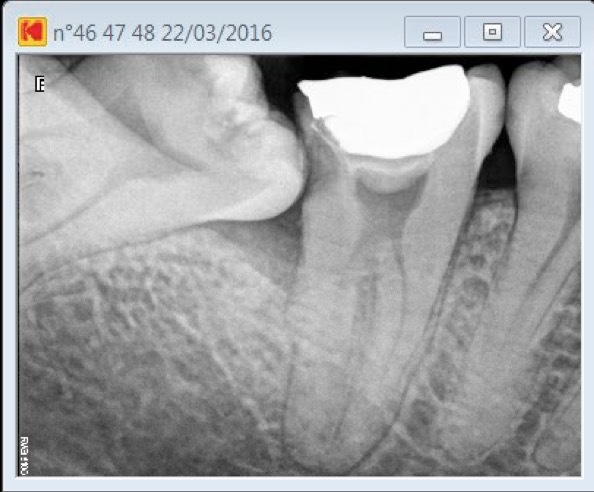 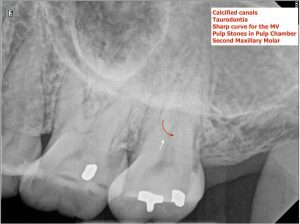 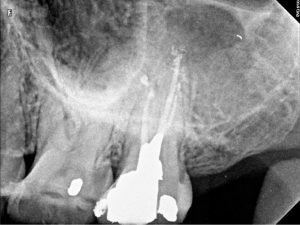 Maxillary first molar with 4 root narrow canals. 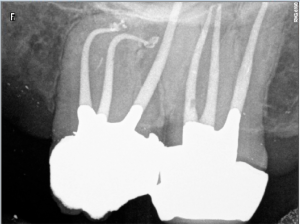 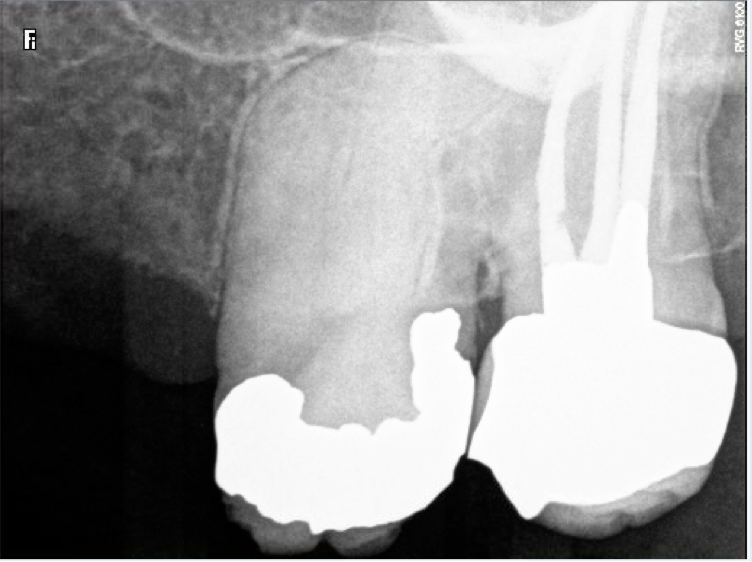 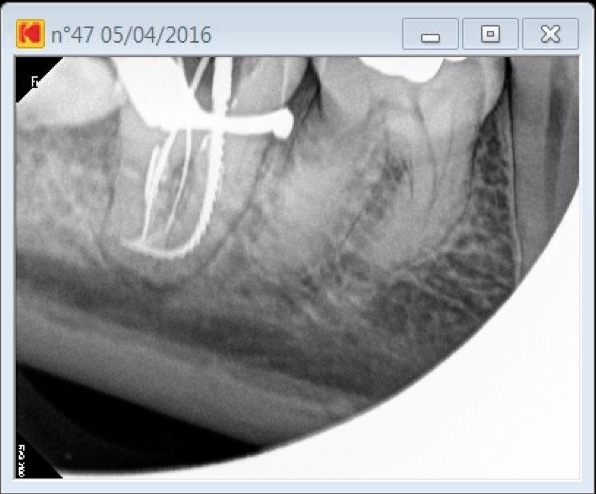 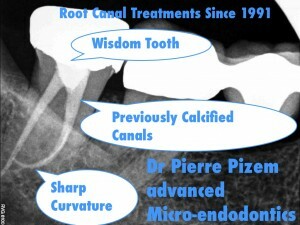 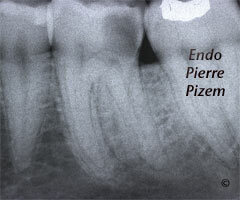 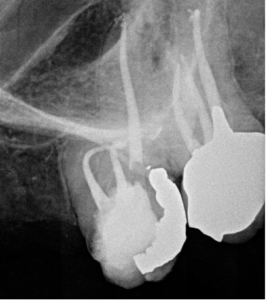 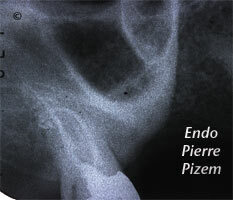 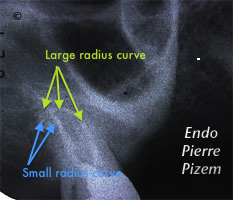 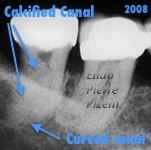 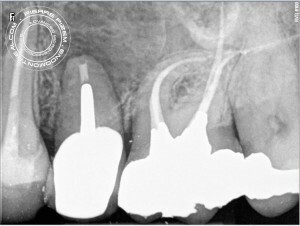 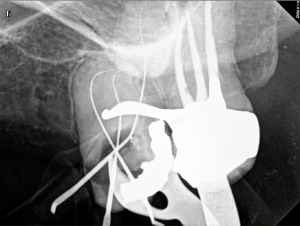 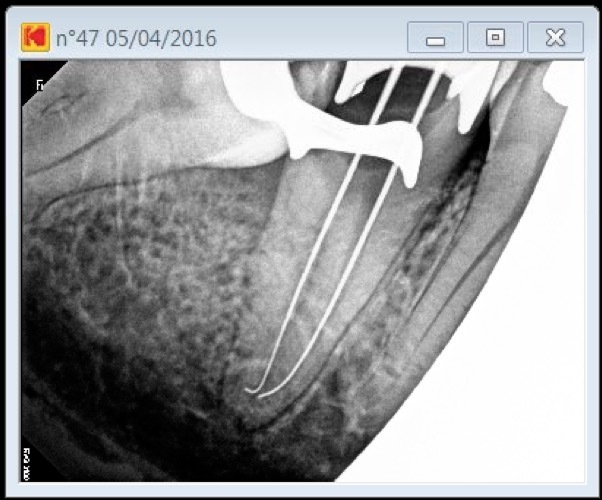 The two canals in mesio vestibular root canals are presenting with a curvature into “C” form. 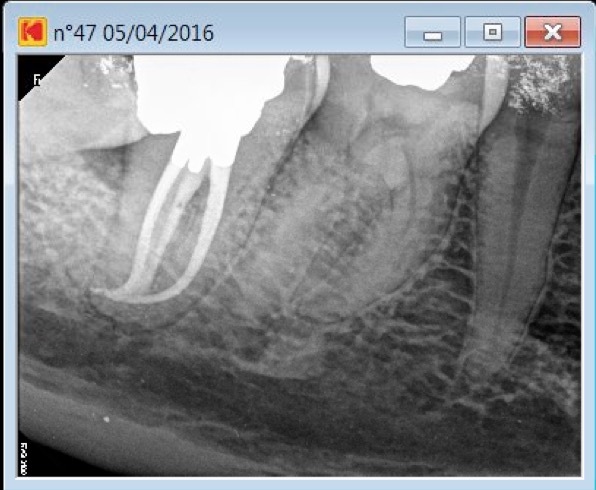 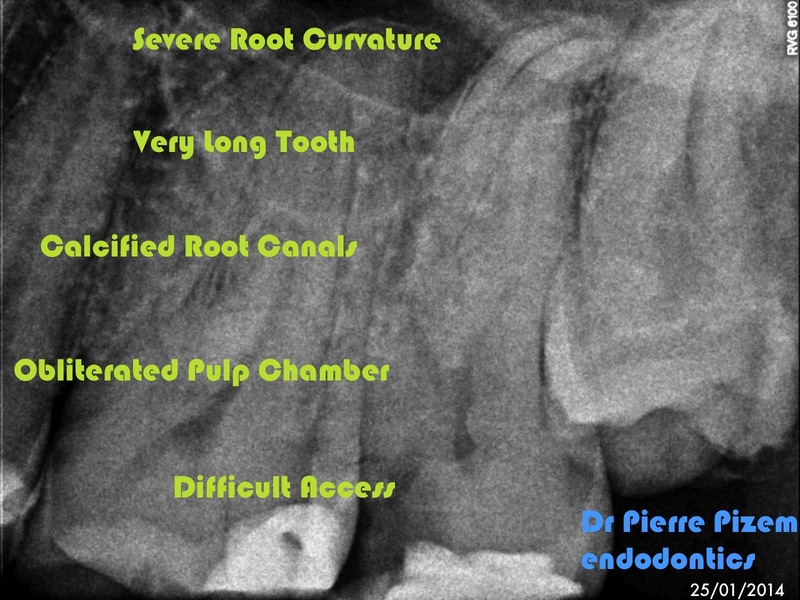 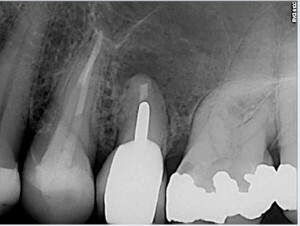 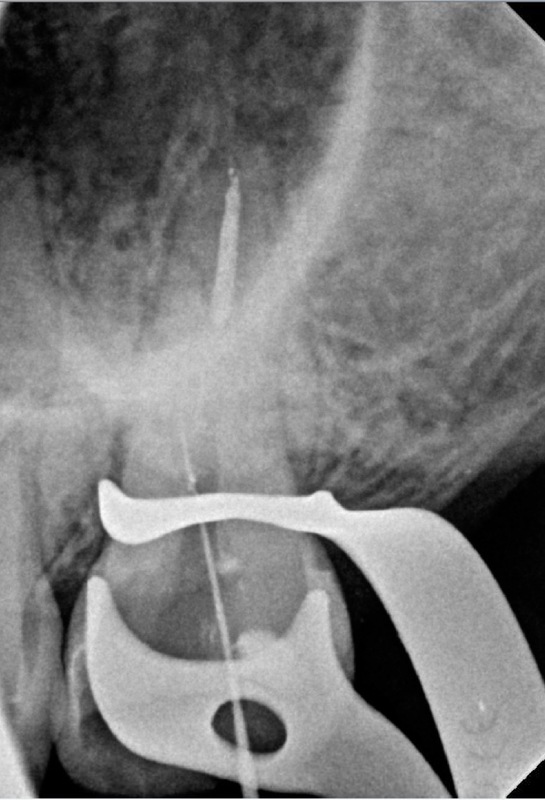 Root canal in disto vestibular root has a dilaceration in its apical third.